On February 8, 2019, at 1216 eastern standard time, a General Dynamics Convair 131B, N145GT, was destroyed when it ditched in the Atlantic Ocean about 32 miles east of the Miami-Opa Locka Executive Airport (OPF), Miami, Florida. The captain was fatally injured, and the first officer was seriously injured. 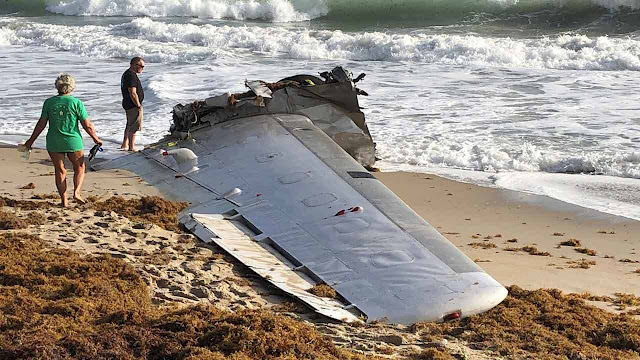 The airplane was registered to and operated by Conquest Air Inc, Miami Lakes, Florida, as a Title 14 Code of Federal Regulations Part 135 cargo flight. Visual meteorological conditions prevailed, and no flight plan was filed for the flight that departed the Lynden Pindling International Airport (MYNN), Nassau, Bahamas, at 1113. The flight originated earlier that day from OPF. The first officer stated that the preflight inspection, engine start, taxi, and engine run-up were normal, and they departed with about 900 gallons of fuel onboard. The flight to Nassau was normal until he had to adjust the left engine propeller control to adjust speed for cruise flight. When the first officer manipulated the control, there was no movement on the gauge and the power was stuck at 2,400 RPM. He tried to re-set the propeller control circuit breaker, but to no avail. The captain equalized power on both engines and the flight was uneventful to Nassau. Once on the ground, the captain asked the first officer to send a text message to maintenance control, but the message never transmitted. The captain told the first officer not worry about it and if they were unable to re-set the propeller control on the ground during the engine run-up then they would shut down and call maintenance. The first officer said that before they began the accident flight, the engines started normally and both propellers were cycled. The left propeller control had re-set itself and they departed for OPF. The first officer said he was flying the airplane, and everything was normal until climbing through 4,000 ft when the left engine propeller control stopped working and the power was stuck at 2,400 RPM. The captain tried to adjust the control and bumped the power up to 2,700 RPM. The captain took control of the airplane and tried to stabilize the power on both engines. He leveled off at 4,500 ft, cancelled their instrument flight rules flight plan, and flew via visual flight rules direct to OPF. The flight was normal until they began their descent down to 1,500 ft. The first officer could not remember the altitude, but the right engine suddenly backfired and began to surge. They used the checklist to feather the propeller and shut down the engine. The co-pilot said that shortly after, between 10 seconds and two minutes, the left engine backfired and began to surge. As the captain flew the airplane, the co-pilot attempted to handle the emergency. Once he realized they were too low and were going to ditch, he asked the captain what he wanted to do. The captain told him to declare a May Day and brace for impact. The first officer said the impact with the water was violent and the tail had separated from the empennage. The fuselage was filling up rapidly with water. He unbuckled his seat belt/shoulder harness, grabbed the life raft and exited the airplane. The captain held an airline transport pilot certificate with ratings for airplane single and multi-engine land, and instrument airplane. The operator reported he had a total of 23,000 flight hours, of which, 725 hours were in the accident airplane. The captain's last Federal Aviation Administration (FAA) first-class medical certificate was issued on January 22, 2019. He also had type ratings for B-727, B737, CV240, CV340, CV440, and LR-Jet. The first officer held a commercial pilot certificate with ratings for airplane single and multi-engine land, and instrument airplane. The operator reported he had a total of 650 flight hours, of which, 305 hours were in the accident airplane. The first officer's last FAA first-class medical was issued on August 25, 2018. He held type ratings in the CV240, CV340, and CV440 (second-in-command only). Weather at OPF at 1253 was reported as wind from 040° at 7 knots, visibility 10 miles, broken clouds at 3,600 ft, broken clouds at 5,000 ft, temperature 26°C, dewpoint 17°C, and an altimeter setting of 30.21 inches of mercury. MIAMI - The U.S. Coast Guard suspended its search Saturday for a cargo pilot whose plane crashed Friday off the coast of Bay Harbor Islands. The crew of a Coast Guard plane, already in the air on a training mission, spotted the plane's co-pilot, 28-year-old Rolland Silva, on Friday floating on a life raft. A Coast Guard helicopter pulled Silva from the water and he was eventually taken to Jackson Memorial Hospital's Ryder Trauma Center. Relatives said he was conscious and doctors were treating his injuries. He was listed in stable condition. Hopkins' fiancee, Michele Gure, said he texted with Hopkins regularly and knew late Friday afternoon that something wasn't right when he stopped responding. "Our thoughts remain with the family of Capt. Robert Hopkins at this difficult time. This is a tremendous loss for our company. Capt. Hopkins' selfless leadership was and will always remain an example for us all," the company said Saturday. Gure said she is trying to come to terms with Hopkins' death. “It just sickens me right now. It’s just surreal. It’s crazy,” she said. HUTCHINSON ISLAND, Florida - A wing from a cargo plane that crashed into the Atlantic Ocean last week off the South Florida coast washed ashore Monday morning on Hutchinson Island. MIAMI - The U.S. Coast Guard suspended its search Saturday for a cargo pilot whose plane crashed Friday off the coast of Bay Harbor Island. 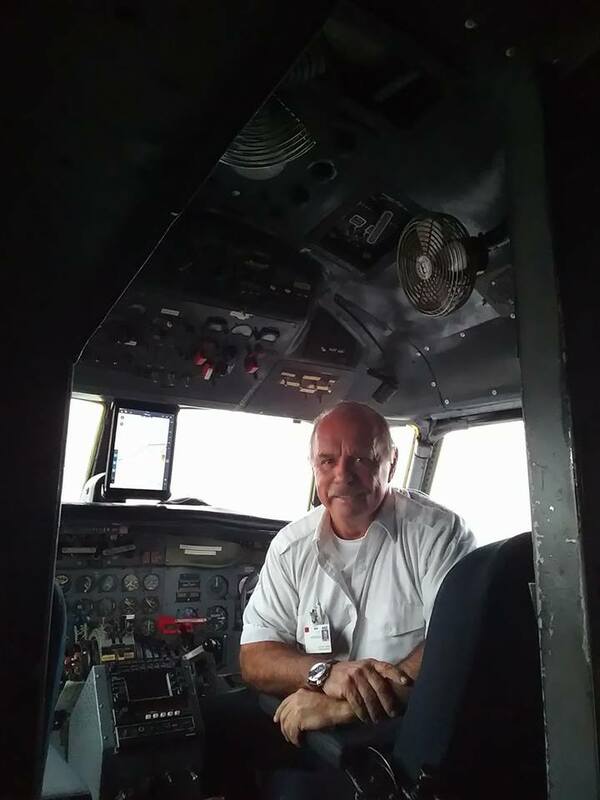 The Coast Guard said the search for the pilot, 68-year-old Capt. Robert Hopkins, encompassed 364 nautical miles and lasted about 21 hours. OPA-LOCKA, Florida - The U.S. Coast Guard rescued a co-pilot and continued searching for a pilot on Saturday, hours after a Convair C-131B Samaritan plane traveling from the Bahamas to Opa-locka crashed about 13 miles east of Bay Harbor Islands. The survivor, 28-year-old Rolland Silva, was in luck on Friday. The U.S. Coast Guard already had a helicopter up in the air. The Coast Guard pilot, who was conducting training exercises, rushed to the area and found Silva waving his arms from a small, canary-yellow inflatable lifeboat. Silva, the flight's first officer, was injured, but not badly enough that he wasn't able to climb into the hanging basket the crew used to hoist him out of the water and into the helicopter. He didn't know where the pilot was. "We have another chopper out there searching," Lt. Cmdr. Gabe Somma said less than four hours after the crash. "We are looking for another survivor." The Coast Guard helicopter flew Silva to the station in Opa-locka, where Miami-Dade Fire Rescue picked him up and flew him to Jackson Memorial Hospital's Ryder Trauma Center. Relatives said he was conscious, and although doctors were treating his injuries, he was in stable condition. According to the Federal Aviation Administration, Conquest Air Cargo flight 504 departed from the Lynden Pindling International Airport in Nassau, Bahamas, and it was headed to Miami-Opa-locka Executive Airport when it hit the sea about 12:15 p.m.
A representative of Miami Lakes-based Conquest Air Cargo released a statement saying the pilot declared an emergency and attempted to water land the Convair C-131B cargo plane during a return from a cargo delivery. The company provides daily flights between Opa-locka and Lynden Pindling International Airport in the Bahamas. The plane's FAA registration history shows Conquest Air Inc. registered the Convair C-131B Samaritan with two Pratt & Whitney R-2800 engines on April 26, 2018, after buying it from Kestrel Inc., of West Des Moines, Iowa. FlightAware records show the plane with registration N145GT departed about 43 minutes late at 11:13 a.m., and was set to land at 12:24 p.m. According to the AirNav Radar Box records, the cargo plane started to lose altitude at about 4,600 feet and some 10 minutes later -- at 1,200 feet -- it ditched into the ocean. It appeared the aircraft broke up after it hit the water during an attempted water landing. Investigators determined the aircraft was damaged beyond repair. One of the two occupants vanished. 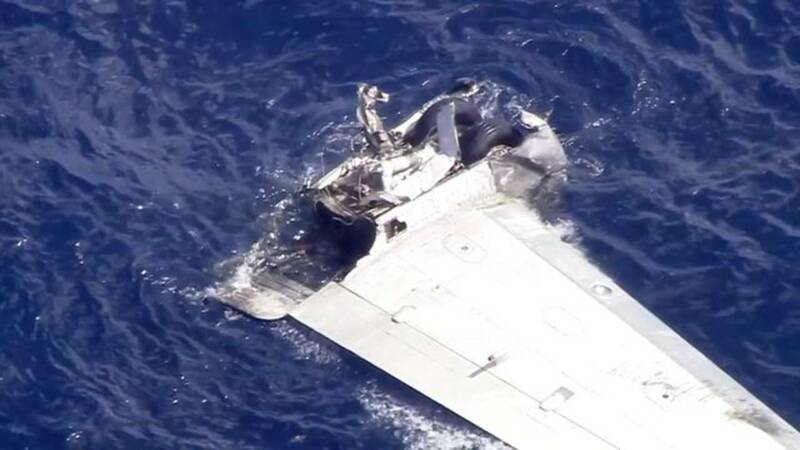 OPA-LOCKA, Florida (WSVN) - The Coast Guard has rescued one person and crews are searching for a second one after a small cargo plane crashed in the water about 15 miles off the Haulover Inlet. According to the Federal Aviation Administration, a Convair C-131B Samaritan aircraft landed in the water about 20 miles southeast of Miami-Opa Locka Executive Airport, around 12:15 p.m. on Friday. Officials have not specified the extent of his injuries. The plane had departed from Lynden Pindling International Airport in Nassau, Bahamas and was headed to OPF. Federal Aviation Administration and Coast Guard officials said there were two people reported on board the plane. The Coast Guard later launched a second chopper to assist in the search for the missing crew member. “Obviously, time’s critical. That’s why the first aircraft was able to get out there. They’re already up flying,” said U.S. Coast Guard Lt. Nathan White. Miami-Dade Air Rescue crews responded to the scene with a diver to assist in the search. Authorities have not released the names of the occupants who were on board the cargo plane. Sad crash but I'm surprised that an aircraft this old and using radial engines is still being operated routinely by an air cargo operation. It should be in a museum. ^^Not at all. There are plenty of radial powered 1940's era cargo freighters flying not just in the US but around the world, from DC-3s to DC-7s and various Convair aircraft. They are inexpensive to buy, relatively cheap to maintain due to their simplistic ruggedness and availability of spare parts and engines, and probably most important to the cargo carrier, have a great pound per mile cost. If they are still in flying condition, FLY THEM! A visit to the Miami area and you can witness many of these old birds still earning their keep.